They are designed for high mobility, battery on a netbook is a source of energy and become an important component of its existence. If not using the battery, the netbook into a gadget that is not practical to carry anywhere because they have to use the power cord as a source of energy. In general, netbooks use batteries with a capacity of two types, namely 3 cell and 6 cell. 3 cell battery has a capacity of 2000 mAh, while the 6 cell has a capacity of 6600 mAh. Differences will affect the capacity of battery life when the netbook is being used. With 6 cell battery (5-6 hours) will be able to last longer than the 3 cell (1-3 hours). Battery 6 cell shape is more prominent than the 3 cell because the cell has to contain more energy than the 3 cell. The screen size for netbooks is actually no fixed rule, but usually ranges measuring between 7 to 10 inch. although with a smaller screen size, it can give a clear and excellent image sharpness. Resolution supported by the netbook is up to 1024 x 600 pixels so that your activity will not be disturbed and the internet web page will appear in their entirety. Another advantage is due to the small size and light weight will allow you to bring to anywhere, let alone those of you who have a high mobility of the use of the netbook will facilitate your activities when the need to access the internet anywhere and anytime. The price of a netbook is generally under $ 400 or even some that cost only $ 200. This is certainly a solution for people who need a portable computer, but have a limited gadget. The low price is certainly related to the specifications of netbooks that are used for light work such as typing in office, email, browsing, chat, play music, videos. 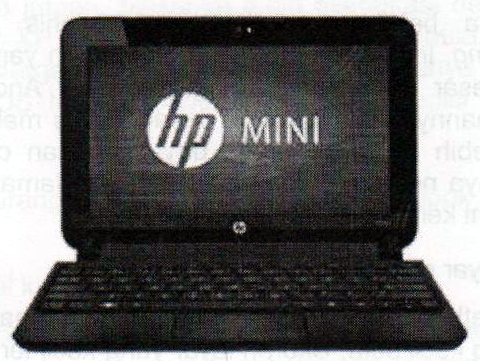 Netbooks can not be used for large jobs such as graphic design, video editing. Netbook for $ 200 are usually not equipped with OS (Operating System) specific. If there is, usually using the open source OS such as Linux with various variants distronya. As for the netbook for $ 300, it usually comes with the OS like Windows XP or Windows 7 version of the beginner. For netbook is priced at $ 400 or more, usually equipped with the latest OS like Windows 7 Professional or Ultimate editions. Since there is no DVD-RW This resulted in users not able to transfer data into CDs or DVDs. 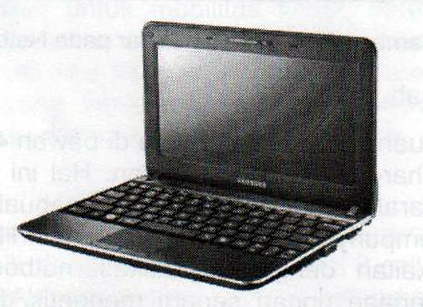 As a solution, netbooks provide more than one USB port for an external DVD-RW if it will burn data to CD or DVD. Consequently, the user must pay extra to buy an external DVD-RW. In addition, the user must provide a special place when traveling if you want the data transfer process can be done. 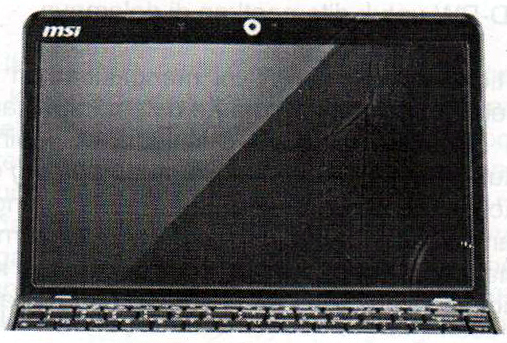 In general, netbook intel atom processor with a speed of between 1:33 to 1.66 GHz. Processors of this type are not energy efficient and fast heat, but the drawback is slower performance than the processor used in notebook. Because of this delay, the netbook can not work optimally for the type of work multitasking. Also impact on jobs that require large energy such as graphic design. If you use such force to the graphic design then the netbook would work harder so that their power will be quickly exhausted, and its implications netbook will not last long and wear down more quickly. Small size of netbooks that will affect the size of a small screen anyway. Small screen size will certainly force the eyes to look at existing content on the desktop to the more carefully so that lead the eye to be more tired. 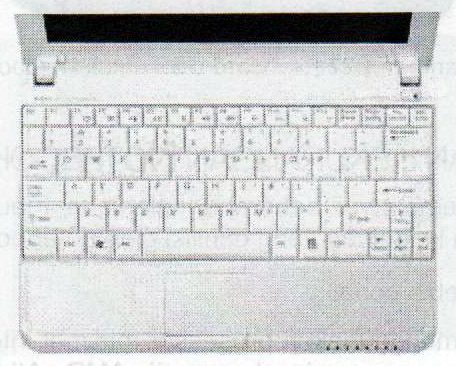 In addition, the size of a small netbook also has an effect on the size of a small keyboard. On netbook keyboards are not as wide as the existing keyboard on a notebook or desktop computer. The buttons on netbooks will likely take more dense than a notebook. It is certainly not convenient, especially for those of you who have a large size fingers. Perhaps the process of typing can be difficult and likely to happen any type will be even greater. 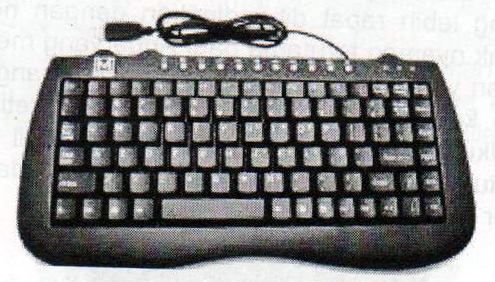 The size of a small screen and keyboard can be one of the basic reasons why the user does not choose a variant of this portable computer. To overcome this, the user can use a desktop computer keyboard that plugs into the netbook using a USB port. Consequently, again you have to pay extra to buy a keyboard.